The San Diego County median home price soared to its highest point ever, $550,000, in March, said real estate tracker CoreLogic. Home prices increased 6.8 percent in a year, which experts attribute to a lack of homes for sale and a strong economy. The previous home peak was $545,000 in June. So that has led us to ask our panel of experts the following question this week. Question: Are we approaching housing bubble territory? NO: As high as our housing prices are now they seem reasonable when compared to the Silicon Valley and Seattle markets. San Diegans are struggling to get into the housing market but those in it are riding the prices up and the for-sale inventory continues to stay very low, meaning houses are selling at these current prices. YES: Approaching bubble territory, but not yet reaching peak of price. The current median price of homes sold is “only” 6.7 times San Diego’s median household income. This is the same ratio reached in 2004, 1½ years before the ratio peaked at 8 times San Diego’s median household income at end of 2005. The primary reason prices are rising is demand for San Diego housing still far exceeds supply at the same time home construction lags. NO: Rising interest rates will slow the pace of home price appreciation. However, conditions do not seem favorable for a collapse in home prices in the near term. Relative to the housing needs of the area, the supply of housing has been growing slowly. And, mortgage lending practices are not as relaxed as they were a decade ago so a fall in home prices is less likely to arise from an increase in foreclosures. NO: Even as interest rates increase, demand remains high and public policy designed to prevent creation of housing stock will ensure inadequate supply. These conditions will breed appreciation but not a bubble. Bubbles require rampant speculation fueled by irresponsible lending, neither of these conditions are present. The absence of “stated income” loans has shifted the under qualified consumer to rental living which removes those previously vulnerable mortgages from the market further reducing bubble risk. NO: Housing prices are high and that is causing an affordability problem. But the increase is the result of economic fundamentals, not speculation. The local economy, particularly the labor market, is strong, which is increasing the demand for housing. The supply is much lower than in the last bubble, with residential units authorized by building permits at only about 10,000 a year, compared to 15,000+ in the mid-2000s. The only worry is a rise in interest rates, which would dampen demand. NO: While San Diego house prices are back to the peak in 2006, the median income in San Diego today is 27 percent higher. In terms of the ratio of house prices to income, we’re back to 2002 values. Higher incomes and lower interest rates help keep homes affordable, and I don’t see the speculative component that we had in 2006. But higher interest rates and changes in tax law could bring home prices down. NO: The housing market may be peaking again after 10 years of buildup, but it is not bubbling. In fact, lender requirements are very stringent, eliminating the prior crash causation factors. It is housing scarcity that is causing the price increases: We are building at the rate of less than one-half the housing units required in the region, creating a shortage that is expected to reach 170,000 units by 2030. Add to that the reluctance of sellers to sell, resulting in very low listing levels, and the millennial demand for the almost extinct single-family home, and you have a perpetual shortage and bid up of pricing. NO: While we are certainly unaffordable for many households that does not equate to a bubble, which by definition will collapse. Naïve analysts look only at price/income ratios, but we learned last cycle that the key to the collapse was the use of others people’s money via high loan-to-value (LTV) mortgages and a large percentage with second mortgages underwritten with loose standards. Currently, there is enough equity to suggest no pending collapse of the market. If significant subprime lenders enter the market again or we loosen up standards or interest rates jump 100 basis points, then that will put us in bubble land. NO: Currently the demand is strong for homes in San Diego and our supply is low. Most homes don’t even stay on the market for a few days before they are in escrow. Prices are driven by both economic and income growth in addition to the ease of mortgage loans. Should we see an economic downturn and unemployment and interest rates start to rise, then that’s usually when we would see more delinquencies, foreclosures, and homebuyers deciding to hold off on making a home purchase. YES:. I am no real estate expert, but any market at a peak gives me pause for consideration. I would guess that low-interest rates are a contributing factor, and as the rates increase, prices may see an impact. Also, with recent layoffs (e.g. Qualcomm), San Diego needs to attract/build more companies with high-paid workers, yet we are still at historically low (official) unemployment (which is increasingly misleading as a metric). NO: A housing bubble is when housing prices, fueled by demand (any home buyer would be increasing demand by one house), speculation, and market exuberance, “run up.” At that time, speculators enter the market and increase demand for housing. If we believe that demand will decrease or stagnate, or if lots of new housing supply is built, then there could be a sharp drop in prices. 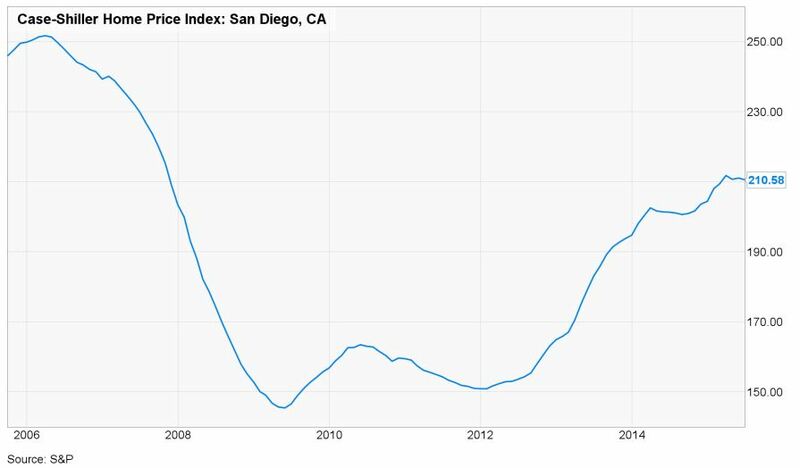 NO: San Diego home prices are only now finally recovering to the prior highs reached a dozen years ago in early 2006. Demand is strong, powered by expanding jobs, incomes, and wealth. New supply has been inadequate, constrained by regulatory costs and other factors despite some positive steps by policymakers. As a result, San Diego has seen a net out-migration to other parts of the country of about 15,000 residents and home prices continue to climb. NO: There is a shortage of housing that will continue to drive the cost of housing higher in the near future. Unlike the last cycle, housing prices are being driven by fundamental economics and not by creative financing products. It has been 10 years and prices are not significantly higher than before the last correction. NO: Bubbles are a function of speculation and reckless lending practices and I see no evidence of either in the current housing market. It is the lack of supply that has driven home prices higher, due primarily to the scarcity of land and a burdensome regulatory environment. These are issues that will not be resolved in the near term. That said, the impact of the recent tax reform bill and rising mortgage rates will likely slow the rate home price increases. Housing prices have been on a tear over the last five years. The Case-Shiller national composite has risen 35 percent since its post-crash bottom in 2012, and is currently just above its pre-crisis peak, set in the spring of 2006. Both measures are indexed to 100 in the year 2000, so the value can be interpreted as the percentage growth since 2000. 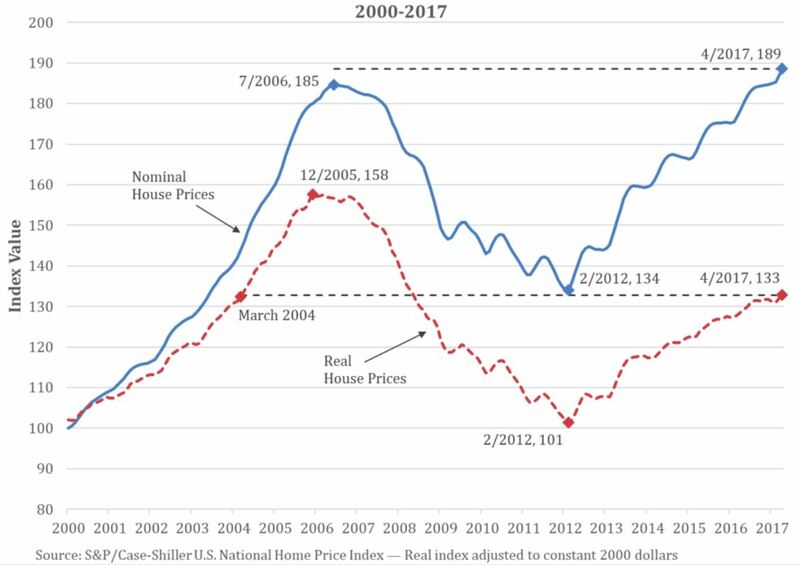 The red line represents the growth in real housing prices, or prices after they have been adjusted for inflation. The blue line represents the percentage growth in housing price without accounting for inflation. Economists refer to this as nominal housing values. Nominal values have rebounded strongly over the past six years, despite a weak economy, increased financial regulation, and a backlog of foreclosures. This rise in nominal values is key because it is tied to the viability of mortgage contracts. Suppose homebuyers in 2007 had gotten caught up in bubble fever, taken on a mortgage that was a bit too much for them to afford, and then watched the value of their investment collapse. Well, if they could have ridden the wave out for 10 years, then they could have gotten back out at least what they put in. Ten years is a long time, and according to the NAHB, it’s a bit less than how long the median homeowner stayed put through the 90s and early 2000s. Riding the bust out would have been tough, but not wildly out of the ordinary for the average homebuyer. Yet, it only took this long because inflation has been extraordinarily low, rarely rising to two percent a year. A faster rate of inflation would have brought homeowners out of the dip even sooner. All of this to say that buying at the peak of the housing bubble was not nearly as insane as one might think. If you planned to stay in the house a normal length of time, you wouldn’t have lost any money. Now, you could have done better by waiting if you had known that a housing bust was coming. But not timing a bust is not quite the same thing as buying into a bubble. Buying into a bubble suggests that you are paying irrationally high prices that are premised only on the notion of “some-greater-fool” coming along and rescuing from your mistake. As we can see that is not the case. Missing the bust simply means that you were not savvy enough to time a fluctuating market. Accepting one’s inability to get in at the just the right time is considered wisdom in stock and bond markets, and with good reason. There is a conceptual paradox with timing the market by buying when prices are low. If you’re right and this really is the best time to get in, then everyone should be getting in. Yet, if everyone was getting in, then prices would already be rising due to the high demand. Thus, low prices which are attracting you are at the very same time a signal to stay away. Wise investment counselors advise their clients to ignore the ups and downs as much as possible, and buy and sell based on your own needs, not your perception of market trends. Could the same thing be true of housing? That is, might it be the case that we have entered a phase where sometimes housing prices will go down? Wise homeowners buy and sell based on their own needs, not in some attempt to judge the market. The market will be buffeted by forces that are nearly impossible for the average homeowner to gauge—forces like international changes in liquidity. This survey of ivory-tower guys indicates that the threat of a bubble-bursting is low. The last bubble was full of people who couldn’t afford to hang on; this one has been built by the affluent. Will prices keep rising? Are prices close to the top? Southern California home prices aren’t about to drop. In fact, they believe prices will keep rising for two more years, at least, and possibly longer. The market isn’t in a bubble — yet — although bubble talk is starting to “raise its ugly head” at cocktail parties, one economist said. 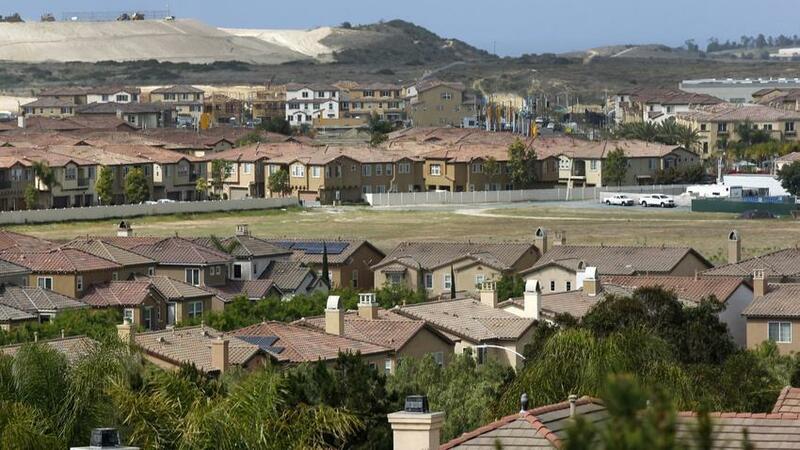 Some analysts are saying Southern California home prices are showing signs of being overvalued. If you’re thinking about buying a home, now just might be the time to act — provided you don’t overextend yourself and you plan to live there awhile. Not one of the economists we interviewed thinks we are, at least not for entry-level homes. Luxury homes, priced at $2 million and up, may have reached a price peak and are facing an oversupply of listings, analysts said. Nominal home prices have surpassed prerecession highs in Orange and Los Angeles counties. Riverside and San Bernardino counties are about 18 percent below their price peaks. But none of those counties has reached prerecession peaks in inflation-adjusted dollars. Another fact to consider: During the last market run-up, Southern California home prices increased year over year for 126 consecutive months, or 10½ years. That’s twice as long as the current streak in home price gains. Lastly, analysts say home prices aren’t rising that much. Price increases averaged 6.3 percent in Southern California in the past year. HOW MUCH LONGER WILL PRICES GO UP? Two years at least, most economists interviewed said. Possibly longer. How much longer prices rise depends on what happens to the overall economy. 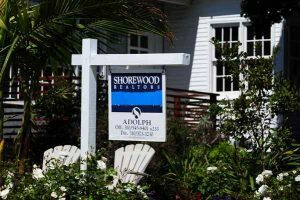 Projections by the California Association of Realtors show a gradual decrease in home price appreciation over the next few years, said Oscar Wei, a senior economist for the group. For example, CAR projects prices will go up 5 percent statewide in 2017, 4 percent in 2018, and 2.5 percent in 2019. 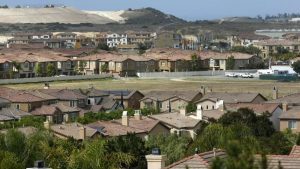 Assuming the gross domestic product continues to grow at 2.5 percent and mortgage interest rates stay below 4.5 percent, Southern California home prices could be going up at 6 percent a year for the next six to seven years, said Christopher Thornberg, a founding partner of Beacon Economics and a former UCLA economics professor. At 6 percent a year, the median home price could reach $800,000 in Los Angeles County by 2023. Above is a graph of the San Diego Case-Shiller Index for the last ten years. 1. The highest reading was 251.71 in March, 2006. After that, the index dropped 42% in three years, bottoming at 145.70 in April, 2009. We have gotten about 61% of that back since. 2. Our most recent index of 210.58 is 16% lower than the peak. The no-doc funny money was probably accountable for the entire 16% difference, if not more. 3. According to the BLS, local prices only rose 0.8% in the last year, and +1.9% less food and energy. Inflation probably isn’t going to drive home prices higher in the near future. 4. It will be unlikely to see mortgage rates go down anytime soon. Expect a holding pattern in the low-4 percent range. What could drive prices higher? Low inventory is about the only answer, and buyers are tired of hearing it. The Case-Shiller graph shows some sputtering lately, and it has only been interrupted by rates dipping back into the 3s. Without that, prices would be, and should be, flat at best. Every day we hear some pundit talking about the latest real estate bubble forming. Can we learn anything from comparing recent sales to those during the bubblicious 2004-2007 era? Sales were dropping precipitously in 2005 and 2006 after the 2003-2004 run-up. There was one last blowout at the end of 2006 and into 2007 when Countrywide began pushing the no-doc, 100% financing up to $1,500,000. 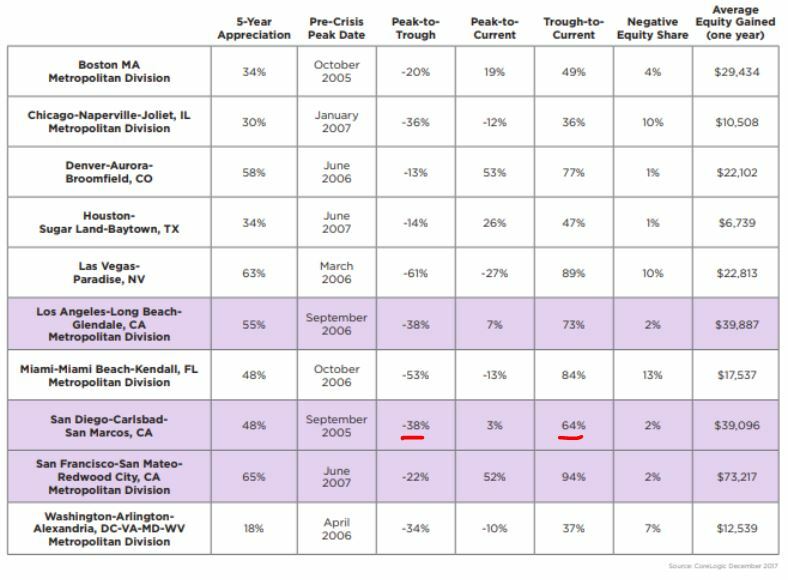 When Angelo took away the punch bowl in the middle of 2007, the party was over – you can see how sales tanked, beginning in August, 2007. One big difference when comparing these two eras is that the neg-am teaser rate in 2007 is today’s 30-year fixed rate. When the teaser rate went away, and people had to qualify again, the market collapsed. It doesn’t look that way today. This year, sales have been strong, in spite of the San Diego Case-Shiller Index rising 42% since January, 2012. 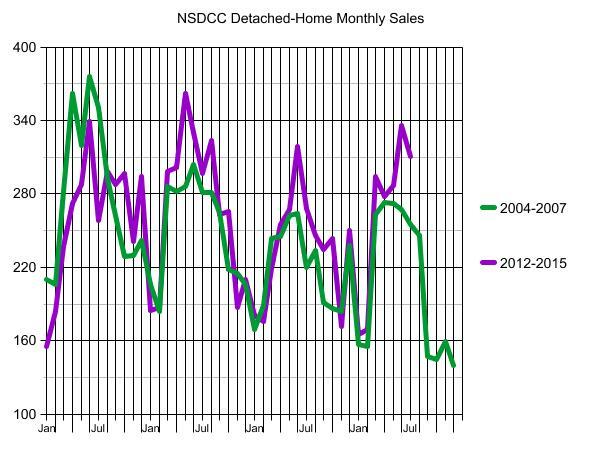 If we hit an unsustainable stretch, the first indicator will be sales dropping off, like they did at the end of 2007. Analyst Chris Thornberg doesn’t think this is a bubble market, and suggested that you should go buy anything you can get your hands on. 1. 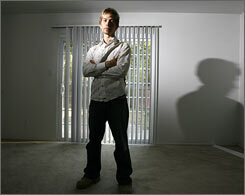 Banks have learned to be flexible on foreclosures. They figured it out – the houses being foreclosed today are those with some equity, and either the bank is getting their full pop at the trustee sale, or if they have to sell it as an REO they might make some extra dough. 2. The government is in full support of the housing market. Tweak the accounting rules, throw money at loan-mod programs, lower rates, and literally tell the banks to not do anything to harm the economy. Uncle Sam has your back. 3. We learned that a surprising amount of people didn’t freak out over being underwater. They have to live some place, and with some support from the previous two above, they survived. If prices stabilize, Bernanke and his buddies will come out looking like heroes. We don’t really need prices to keep going up around here; in most parts of North SD County’s coastal region we are back to peak pricing or higher. Prices will ebb and flow. But the vast majority of those who bought in recent years are in for the long haul, and won’t care about short-term fluctuations in value – at least not enough to panic-sell. “This is not a bubble,” says Chris Thornberg, an economist in Los Angeles. He says that the money flooding the Bay Area isn’t built on speculation like the last boom. And while the growth may slow, it won’t stop, Thornberg predicts. He believes the solution is a matter of adding to the housing supply. As more units come on the market, prices become more reasonable for everybody, he says. But others argue that without policies making sure some of the housing is affordable, it’s not going to make any difference for middle-class and poor people. So what should Eaton do? Thornberg’s answer? Buy now. Anything you can get. Someone asked me if I thought the bubble will burst again. I said no. Not in the same way that the previous two bubbles have ended – with foreclosures driving down prices across the board. 1. The Foreclosure Process Has Been Compromised – Banks have been handing out loan mods like candy, and keeping defaulters in their houses at all costs. Of the 13,154 houses that have closed escrow this year in San Diego County, only 293 were bank-owned, or 2.2%. Only eight of those were in our La Jolla-to-Carlsbad coastal region, out of 1,730 closed sales YTD (0.5%). How can banks reverse course, and start foreclosing again? They can’t, and instead the ‘loan-mod’ will become standard banking policy – though vague. 2. Recent Buyers Were Well-Qualified – No exotic financing this time around. Everyone who got a regular mortgage over the last six years had to qualify AND use a down payment. Thanks to recent prices increases, most have tacked on some extra equity too – they aren’t going to panic-sell now. 3. Those Who Do Panic-Sell – The kids who come to town to liquidate their parents estate will more likely sell to a flipper offering quick cash. There have always been investors working the obits, but it is a cottage industry now – and they will improve and flip for a retail price. If they need money, the reverse mortgage is still around, and likely to stay. If aging boomers want to downsize, they need to leave town to have it pencil – because it’s virtually impossible to buy a smaller one-story house in the same area and still save big money. Plus their kids – who could have afforded a decent house 2-3 years ago – are now left holding the bag. It’s better for the kids to move in with the folks and take care of them, then to buy the crapshack. 5. Sellers are Resilient – If they can’t get their price, they will wait – and agents will wait with them. It is typical for agents to take six to twelve month listings and hope that’s long enough for the sellers to eventually wear down if nobody comes along. 6. Higher Capital Gains Tax – The sweetheart 15% capital-gains tax went back up to 20% at the end of 2012 – a 33% increase! Even though they can sell for more now, investors are very reluctant – they hate paying tax! Especially when a spouse can “die correctly” and leave rental properties to the other spouse with a stepped-up tax basis. I don’t think we’re going to see the roller-coaster ups and downs any more. It’s much more likely to feel likely a bloated, stagnant slush of goo than an exciting crash. Thankfully, agents work on commissions, otherwise sales could come to a halt!